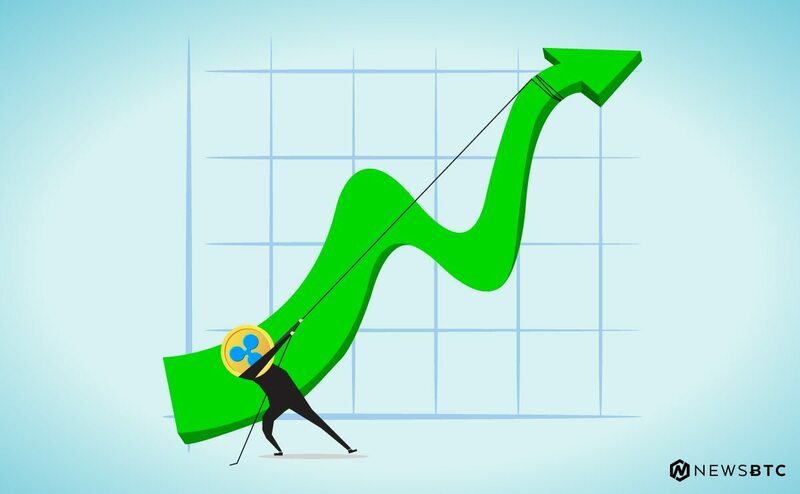 Ripple price surged higher and broke a major hurdle at $0.7000 against the US dollar. There is a key bullish trend line forming with support at $0.6700 on the hourly chart of the XRP/USD pair (data source from Kraken). The pair is currently correcting lower towards the $0.6800 and $0.6700 support levels. Ripple price is gaining upside momentum against the US Dollar and Bitcoin. XRP/USD remains buy on dips near the $0.6800 and $0.6700 support levels. 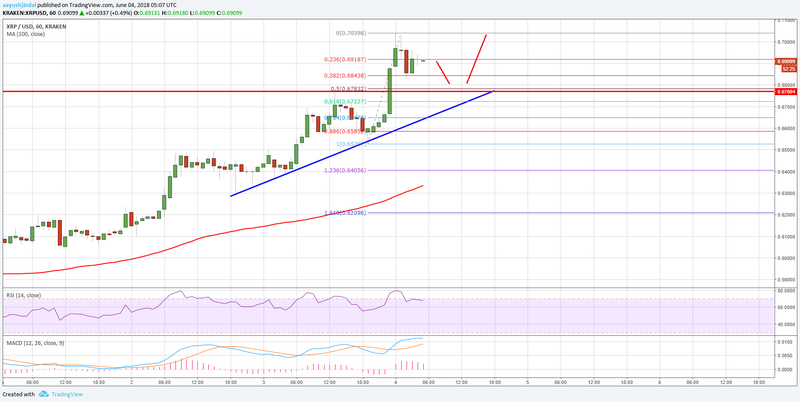 A solid support was formed near $0.6300 in Ripple price against the US Dollar. The price started an upside move and broke many hurdles on the way up such as $0.6500 and $0.6800. It even succeeded in clearing the $0.7000 barrier and traded as high as $0.7039. Later, sellers appeared and the price started a downside correction below the $0.7000 level. It tested the 38.2% Fib retracement level of the last wave from the $0.6576 low to $0.7039 high. On the downside, there are many supports above the $0.6500 level. An initial support is near $0.6800, which was a resistance earlier. Moreover, the 50% Fib retracement level of the last wave from the $0.6576 low to $0.7039 high is positioned near $0.6780. More importantly, there is a key bullish trend line forming with support at $0.6700 on the hourly chart of the XRP/USD pair. As long as the price is above the trend line support at $0.6700, it remains buy on dips. Looking at the chart, the price may correct a few points in the near term towards $0.6800. However, any major decline below the $0.6800 level could be limited. On the upside, a close above the $0.7000 barrier may perhaps clear the path for a push towards $0.7200. Hourly MACD – The MACD for XRP/USD is placed nicely in a bullish zone.